How to view report on sales and registered attendees? 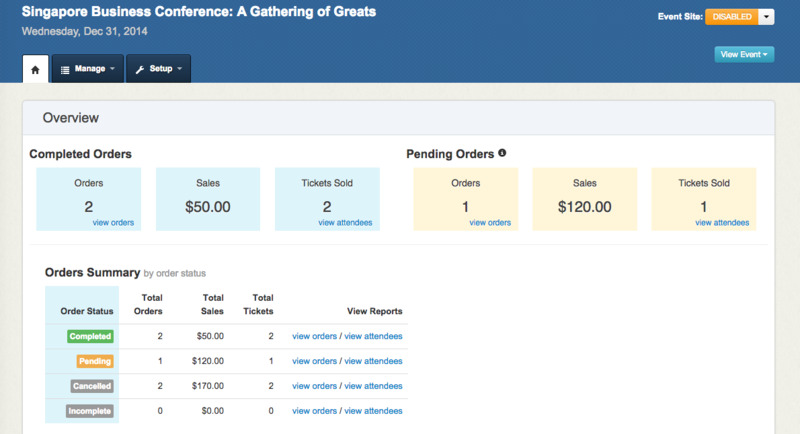 The Event Dashboard gives you a summary report of the number of attendees, orders completed and pending orders. It is useful for quick monitoring of your event. To access to the Dashboard, log in to your account and click "My Events". Select "View Dashboard" for an overview of your orders and sales. Select "view orders" or "view attendees" for more in-depth reports. Happy viewing!